It’s time for the annual auto dealer bond renewal in New Mexico. As the official March 31st deadline approaches, auto dealers need to reapply to have their licenses renewed. This includes a number of documents and items to be submitted along with the application form. Read on for the all the information you need. If you are new to surety bonds, you may be wondering why you should get bonded in the first place. Apart from the fact that it’s a legal requirement and there’s no way around it, surety bonds serve to protect the public from fraudulent business practices. An auto dealer bond protects the customer, in case a dealer is deliberately misleading about the quality of the cars they are selling or breaks state regulations. Hence, the government has decreed that auto dealers need to post a bond, which is to serve as a guarantee against such practices. While New Mexico auto dealer bonds and licenses run out on the 31st of March, new applications must be submitted around the end of February. Therefore, it is important that you prepare well in advance to post all relevant documents as well as your application form to the New Mexico Motor Vehicle Division. Along with a New Mexico auto dealer bond in the amount of $50,000, you need to fill in and submit your long or short renewal form with all the relevant information required. Whether it is the long or short form depends on which county you are based in. Form requirements alternate each year, meaning that if you filled in a short one last year, you will have to fill in a long one this year and vice versa. Apart from the auto dealer bond, depending on the form you are submitting, you may have to include: a copy of your business license, a continuing education certificate, and a print-out of your status with the Secretary of State (SOS) office. You also need to pay the $50.00 auto dealer renewal application fee by check or money order. Since applications are due by the end of February, you might want to get some help with the bonding process. Lance Surety Bonds is a leading and highly reliable surety bond agency. We work with a vast amount of surety companies and are therefore in the position to find the best rates for you. 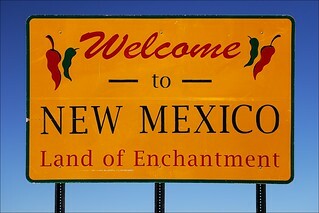 Want a free quote on your New Mexico auto dealer bond? Apply online or call us at (877) 514 5146 for the same. We will be happy to help!